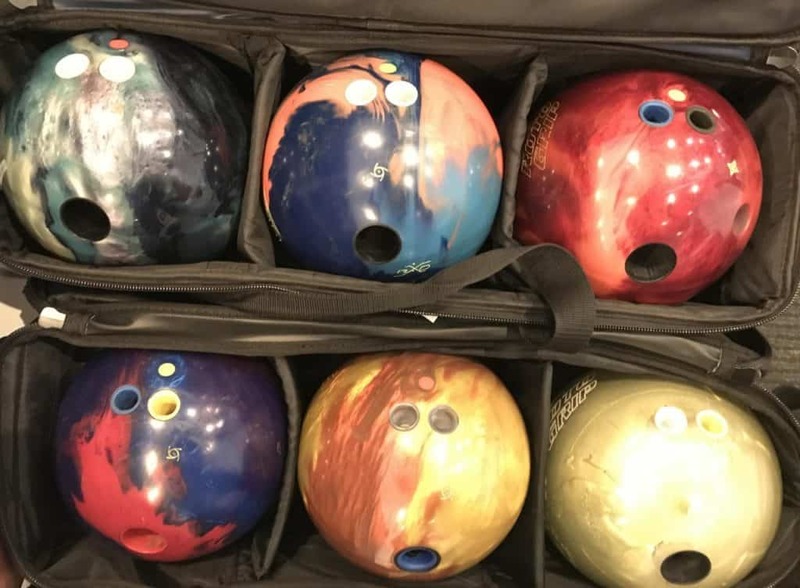 As you gather more skills and deliver a better performance on the lane, you’ll eventually realize that not all bowling balls work the same way. The same ball will deliver different performance on different lane conditions. It’s not only the lane condition but there are several other factors such as the time of the year, weather condition etc. Be noted that everyone’s arsenal is going to be different as the arsenal reflects your style which makes you favor one type of bowling ball over the other. You may need some aggressive balls in your collection or some weaker ones. It all depends on the playing style. It’s high time you build a bowling arsenal in order to rock the alley in all sorts of conditions. However, it’s essential that you make smart choices before buying the next bowling ball because getting another ball that has the same configuration as the previous one is nothing but a waste of money and resource. What’s your preferred lane condition? Do you have a high rev rate or a low one? Do you like to hook or more into straight shots? You need to ask yourself these questions before landing on a decision as these factors have a vital impact on the performance. So, it would an absolute disaster if you end up getting a ball with a completely different configuration than the preferred one. There are many top-notch brands out there who manufacture high-performance bowling balls. Bear in mind that money doesn’t always ensure quality. If a ball costs a lot, it’s not necessary it will offer extraordinary performance. The very first strategy that you need to follow before making your decision is to do proper research and develop some unique strategies regarding your purchase. The strategy you need to build up is to find a bowling ball that matches with the lane condition of your preference. Suppose, you mostly play on heavy oily lane condition. So, if you get a ball with polyester coverstock for regular use, it would be an absolute blunder. Rather find a ball that offers a short skid length potential and has a strong roll on the frontend. Choosing the right length and hook potential is very crucial for deciding on your next purchase. For example, if you already have a bowling ball that’s suitable for oily lane condition with the perfect length potential but you have figured out that the ball doesn’t hook much. Well, in such cases what you can do is to get a ball that has the same length potential but offers a high back end hook potential. You need to figure out what sort of a player you are. Your speed and rev rate is a crucial determinant of your playing style. For example, if you’re an even player you should have a speed rate of about 18mph and a rev rate of 350 RPM. Again, a speed dominant player generally has speed around 19mph with a rev rate of 300 RPM. Therefore, if you pick a ball that doesn’t match with your preferred rev and speed, it wouldn’t be a worthy investment. Your benchmark ball should be the one that has a smooth and predictable surface and which can be used on medium lane conditions. Many prominent bowling ball manufacturers such as Storm, Ebonite, Columbia, Brunswick – they have put immense emphasis on the core and the coverstock material so that the overall combination will help you to take your performance up a notch. The arsenal should contain balls with different sorts of finish so that you can ace the game in all sort of conditions. If you’re a high-speed player, you can use the sanded surface balls on heavy oil lanes. There’s no perfect bowling ball but you need to work out your way to make it the perfect one. The strategy to select best bowling ball requires knowledge about several factors such as your release style, axis tilt, rev rate etc. Narrowing down your options may seem hard at the beginning. But, if you consider some simple steps, you can complete the task easily. If you are confused about favorite bowling ball then try to visualize the motion of your most encountered lane condition. This will help you understand which type of ball will provide you with the best result on the lane. If you already have a bowling ball that offers skid on the lane then you need a ball with an aggressive coverstock. A reactive resin coverstock is quite an aggressive one that will help to reduce the over skidding of the ball. Also, if you own a ball that reacts before reaching on the mid lane then get a ball that delivers greater length potential. An aggressive coverstock wouldn’t be an ideal choice. A coverstock with less aggression will give you a smooth glide in the front ends so that you can avoid an early ball motion. They’ll enable you to have a clear transition in the mid lane, also a clear back end reaction from the break point to the pocket. The hook potential of the ball also an important feature that you need to consider in your next purchase. One of the first kind of bowling balls you should make sure you have is a urethane bowling ball. These kind of bowling balls are extremely good for shorter patterns or where the lanes are very flat. The surface of the urethane bowling ball plays a very vital part in the performance. We recommend you to have a ball with a surface of 500-grit polish as this kind of surface will provide you a lot of traction and earlier hook. You can also have urethane polish which will offer equally good performance. The Roto Grip Hot Cell is a superb ball that will meet all these requirements. It offers excellent performance on a shorter or medium pattern and you can keep it as a spare ball. The second ball we recommend you to get is should be strong and aggressive. Generally, these kinds of balls have an asymmetric core that has superb traction on oily lane condition. They come with superb hook potential that will give you the performance you need on a heavily oiled lane. Our pick for this segment is the Quantum Bias. Again, the surface is very important for these kinds of bowling balls as well. Having a thousand grit Abrasion finish is the right kind of surface that will give you the traction you’re looking for. The third kind of a bowling ball that you should have in your arsenal is a continuous ball. These kinds of balls make a continuous movement towards the pins. One of our top picks for such kind is the Storm Hy-Road X. It comes with a 5000-grit finish which makes it a superb addition to your arsenal if you’re going to play in leagues and most of the environments you may run into. Hence, there will be a point when a bowling ball like this will help you deliver a monstrous performance on the lane. Next up you need a ball that has some surface on it but it will provide some angle down the lane. We recommend you to go for a ball that has 3000-grit finish so that you can get some angle on medium to heavy oil lane condition. The Radical Conspiracy is a great bowling ball that is an excellent fit for this criteria. For the final pick, it’s time to choose the angular ball. These kinds of balls are great for house shots, medium to lighter oil conditions. These are essential to make the aggressive move on the back of the lane. Our favorite pick for this section is the Roto Grip Idol. Having a 5000-grit finish that will make a massive angle down the lane at ease. There’s this common complaint by the bowlers that the ball doesn’t hook anymore and they don’t provide the same reaction like before. One of the main reasons for such mishaps is poor maintenance. Dirt and oil start to build up on top of the coverstock during the games. This dirt and oil eventually decreases the performance of the ball over time. As the oil sinks in the coverstock, it has a hard time gripping the lane and ends up losing its hook potential. If you play on an oily lane then wipe the ball after every shot. Make a habit of cleaning the ball before putting it back in the bag with a cleaner and towel. Try to use a microfiber towel for this job. You can just hold the towel on your hand and spin it around. This process will help to remove the excess oil before it starts to get soaked in the ball. If you don’t want to use chemicals on the ball then you can also use a homemade cleaner to keep it clean. Use equal parts Simple Green, Rubbing Alcohol, Water, and shake ‘em well. Voila! You got yourself your DIY bowling ball cleaner. You can also give the ball an intensive cleaning. However, this process has mixed reviews and it is a bit risky to do it at your own risk. Tape all the finger holes properly so that no water can get it. Fill a bucket with hot water, preferably around 130-140 degree Fahrenheit. Soak the ball for about 20 minutes and give it some occasional spin. Taking proper care of the bowling ball will increase its performance as well as keep it as new for years. To sum up, bowlers wanting to build an arsenal need to have the equipment to match dry, medium and oily lane conditions. Bowling balls with low flare and tamer coverstock are a great choice for dry lanes. On the other hand, for oily environments, sanded surface or higher flare layouts are the best options. Try to bring variation to your collection. Having two bowling balls with the same configuration will be just a waste of money. So, do proper research before making the investment and take proper care of the balls so you can get the best out of them.